Where in the world is Kristin Lewis…? Posted on April 7, 2019 at 9:18 am. 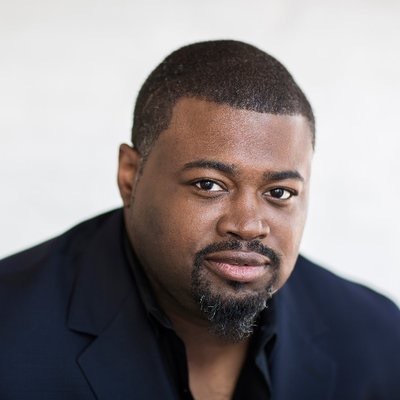 With a “heroically shining tone of exceptional clarity and precision” (Opera Magazine) and “gorgeously burnished power” (The New York Times), American tenor Russell Thomas uses his signature elegance and intensity to create vivid character portrayals on the world’s most prominent stages. 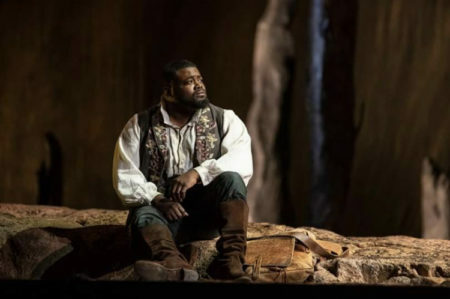 This season, Russell Thomas sang his first staged performances of the title role of Otello (Verdi) at Canadian Opera Company, under the baton of Maestro Johannes Debus. He will repeat this role at Deutsche Oper Berlin under the baton of Paolo Arrivabeni. 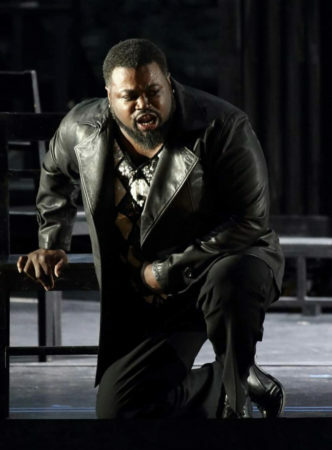 He will make his debut at the Bayerische Staatsoper in Munich, Germany, in the role of Manrico in Verdi’s Il Trovatore under the direction of Maestro Asher Fisch, and in the title role of Roberto Devereux at San Francisco Opera. Recent highlights include Mr. Thomas’ portrayal of the title role debut of Stiffelio at Oper Frankfurt, Turiddu in Cavalleria rusticana at Deutsche Oper Berlin, Cavaradossi in Tosca at Los Angeles Opera and the title role in La clemenza di Tito at the Salzburger Festspiele, which he will reprise this season at Los Angeles opera under the baton of Maestro James Conlon. 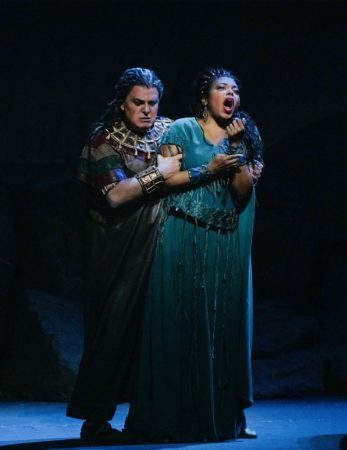 Other professional and artistic triumphs include his house debuts at the Royal Opera House in London as Gabriele Adorno in Simon Boccanegra (Verdi), and Lyric Opera of Chicago in the role of Pollione in Norma (Bellini). Mr. Russell will make his concert debut at the BBC Proms in Beethoven’s Symphony No.9. He will be featured at Dallas Symphony in Mahler’s Das Lied von der Erde under Donald Runnicles. Mr. Thomas’s “ardent expression and spine-tingling high notes” (Cincinnati Enquirer) have been heard in the Verdi Requiem with the New York Philharmonic, Oregon Bach Festival, Theater Basel, and the national symphonies of Washington, D.C. and Barcelona. He has appeared as tenor soloist in Mahler’s Das Lied von der Erde with the Los Angeles Philharmonic, New York Philharmonic, and the symphonies of Detroit, Atlanta, and Houston; and in Beethoven’s Symphony No. 9 with the New York Philharmonic, San Francisco Symphony, Dallas Symphony, and the Boston Symphony Orchestra at Tanglewood. Mr. Thomas was first to present the role of Lazarus in the world premiere of The Gospel According to the Other Mary, a passion oratorio by John Adams and Peter Sellars. He has performed the work at English National Opera, Ravinia Festival, and with the Los Angeles Philharmonic, who commissioned it. Mr. Thomas is an alumnus of the young artist programs at the Metropolitan Opera, Seattle Opera, Florida Grand Opera, and Opera Theatre of St. Louis, and has received prizes from the George London Foundation for Singers, Liederkranz Foundation, Licia Albanese Puccini Foundation, and Richard Tucker Music Foundation. In 2010, he won a combination of the Grand Prize, Audience Prize, and Tenor Prize of the Francisco Viñas Competition in Barcelona, Spain. 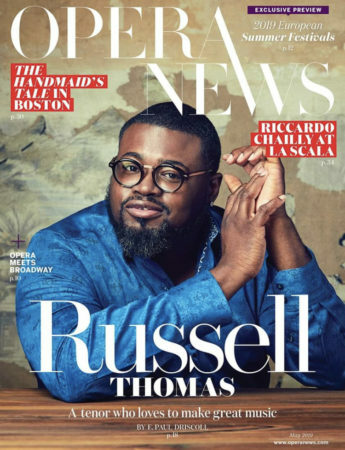 Future seasons include Mr. Russell’s appearances on operatic stages in Berlin, Munich, London, Toronto, Chicago, Houston, New York, and Washington, D.C.
Posted on April 7, 2019 at 9:26 am. … that music is MATH? In fact in many conservatories and music schools across the country, music theory is considered to be part of the math curriculum. In the illustrative video below entitled, “MUSIC + MATH,” based upon a live concert presented by the Santa Fe Institute and the Santa Fe Symphony, this fascinating relationship is explored with wonderful visual images set to musical examples. As it is expressed in the video, “If math is pattern, and sound is vibration, music is sound shaped and patterned. Math can help us understand the rhythms, melodies, and harmonies that fascinate our brains and stir our hearts. From Pythagora’s observations of the fundamental mathematical relationship between vibrating strings and harmony to the digitized musical world we enjoy today, the “Majesty of Music” and Mathematics with the Santa Fe Symphony and the Santa Fe Institute will explore this remarkable interweaving of the languages of music and mathematics. Posted on April 7, 2019 at 9:34 am. In every issue of our newsletter, one Kristin Lewis Foundation Vocal Scholarship finalist or award recipient will be lovingly presented as a KLF “Nightingale” or “Troubadour,” in homage to artists who have shared their gift of beautiful singing throughout history. A “Nightingale” is derived from “night”, and the Old English galan, “to sing.” Its Old English form nihtgale, means “night and day songstress.” A “Troubadour” was a composer and performer of Old Occitan lyric poetry during the High Middle Ages. This word is etymologically masculine. The Kristin Lewis Foundation, an organization that shines a spotlight on talented musicians, is extremely proud of all the wonderful singers who participate in its scholarship program. These singers are among the next generation of great artists who intend to grace the world’s top opera stages. Chosen from universities and colleges across the country, finalists are invited to Arkansas for a two-day audition process and given an invaluable opportunity to work with esteemed professionals while in competition for financial awards. The Kristin Lewis Foundation Troubadour for the month of April is Blake Densen, baritone. Bartitone Blake Denson began his musical life as a percussionist in the Paducah Tilghman High School band. 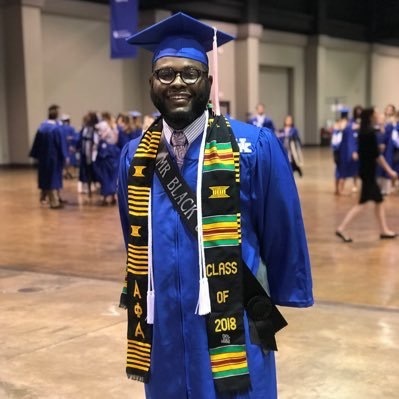 He reflected upon his childhood by saying, “My mom always sang around the house, so music has always been around me.” He successfully made the shift from band to choir, and subsequently was accepted into the voice department at the University of Kentucky. Video: What does ‘Old Man River’ mean to ‘Show Boat’? Article: Star of UK’s ‘Show Boat’ wishes the racism portrayed in musical was all in the past. Read more here. Blake is currently attending Rice University while pursuing a Masters degree in vocal performance under the guidance of Dr. Stephen King. He has shared his excitement with us in writing: “I am blessed to be able to work with the top voice students and faculty in the nation on a day to day basis so it definitely is a great driving force in my development.” Blake feels that he is ‘finding his true sound’ and developing greatly as an artist. 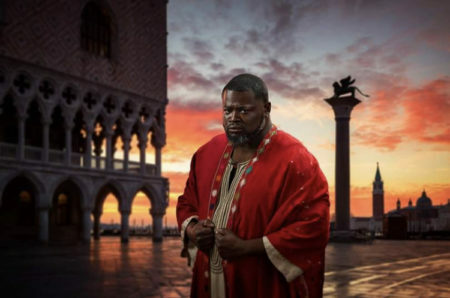 He was cast in the role of “Mercurio” in Rice’s 2018 fall opera production of La Calisto. 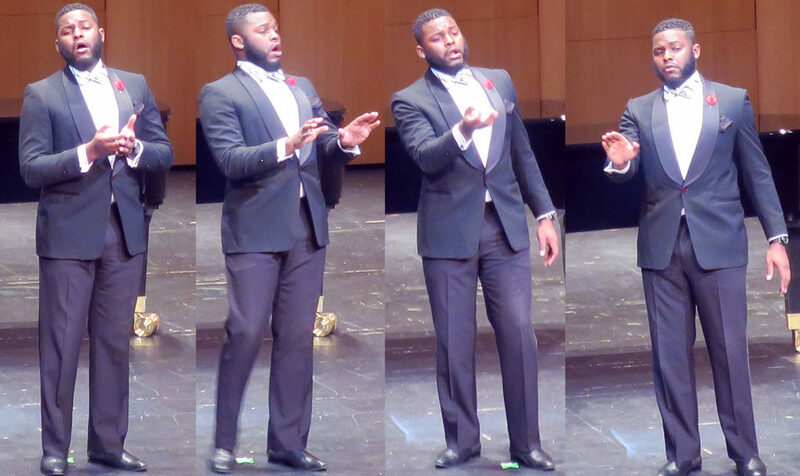 Another highlight is the role of “Elder McLean” in Rice’s opera production of Carlisle Floyd’s Susannah. Blake will travel abroad for the first time in summer 2019 to participate in a study abroad program in the beautiful city of Florence, Italy. When he returns to America, he will cover the roles of “Pierrot” in Gluck’s opera, L’île de Merlin and “Kaiser Overall” in Viktor Ullmann’s Der Kaiser von Atlantis. He will perform the role of the “Wigmaker” in Richard Strauss’ Ariadne auf Naxos with Wolf Trap Opera. 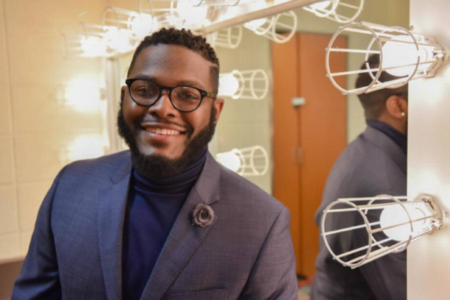 We look forward to celebrating the many future successes of the talented and hard-working Blake Denson, and wish him all the luck in the world, or, as they say in the opera world, TOI TOI TOI! Posted on April 7, 2019 at 11:13 am. Kristin has been jet setting across the United States accomplishing some monumental things! I am so proud of my BFF that’s it’s unreal! There have been some huge changes and wonderful surprises that have taken place in her life; therefore, imagine my shock and delightful surprise of finding out where she has been when we had our phone interview. Kristin: I’m getting ready to attend a meeting for the Foundation. Amerie: Oh, Kristin Lewis International….? Kristin: No, The Kristin Lewis Foundation… Where are you? Kristin: (giggle) Eat your soul out, huh…? Amerie: Yes, I have committed myself to eating decadent Asian goodies…They have a sushi bar that’s great…. Kristin: I like sushi, but I’m not in the mood for it. I think that I’ll pick up a salad from some place close by, a little later. So, are we going to do our interview while you eat…? Amerie: Yes, we are. In fact, while I’m walking in the restaurant now… Tell me about your debut at the Metropolitan Opera House in New York this past January? I was so proud of you for your performances! That’s been one major dream for your career since its beginning. Kristin: Yes! 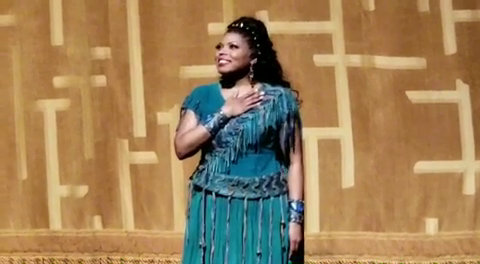 I received the good news of my singing the title role of Aida at the Metropolitan Opera two days before Christmas, which really made that the best Christmas gift ever. My singing on that stage was a long awaited milestone for me… a dream come true. So many of the greatest artists in the history of opera have walked the halls of that building and performed on that stage….and then the day came that I was requested to follow in their footsteps… I feel very grateful to God. 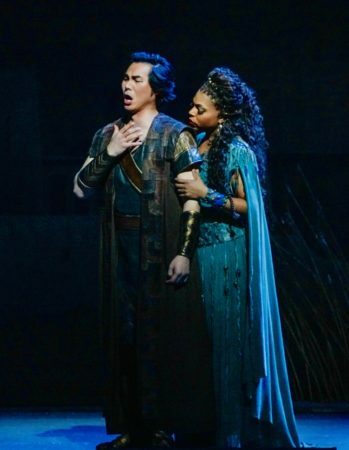 … and with tenor Yonghoon Lee as Radamès. Amerie: Amen. I was so busy with work; therefore, I was one of the unlucky ones who had to miss it. In addition l could not attend your Dallas Opera debut in March for similar reasons. Total bummer… So, tell us about your Manon Lescaut….? Manon Lescaut at the Dallas Opera Company. Kristin: No worries. Manon Lescaut was written by the very famous Italian composer named Giacomo Puccini. The libretto was based on a French play written in 1731 called L’histoire du chevalier des Grieux et de Manon Lescaut by Prévost. The opera, Manon Lescaut, was composed in the 1830’s and contains some of the most romantic music ever written. Debuting the title role of this masterpiece at the Dallas Opera was for me a magnificent honor. In addition there’s an interesting fact that some people outside of the opera world may not know. 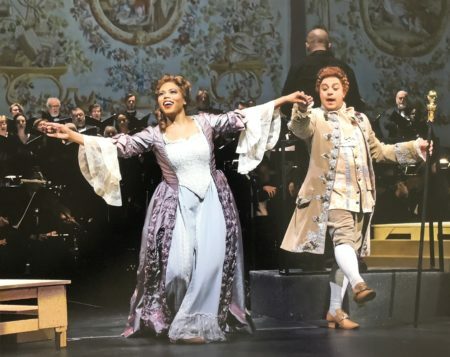 Very quickly after being established, The Dallas Opera Company was nicknamed “La Scala West” because of its ability to attract top singers on an international level. In fact Maria Callas sang one of its initial fund raising concerts in 1957! She, among other stars, brought top-notch prestige to the company during its first few seasons. The Dallas Opera has long since moved from its original building, the State Fair Music Hall, but the structure still exists and provides the space for different types of events. The Dallas Opera performances now take place in the Windspear Performing Arts Center, where its legacy of great opera continues. This company has a very rich musical history; and I’m blessed to have been a part of this legacy. Amerie: Wow! Congratulations! That’s cool information…. Kristin: Some of the magnificent people that graced the Dallas Opera stage back then were Maria Callas, Renata Tebaldi, Alfredo Krauss, and Giuseppe Di Stefano. A young and very talented Franco Zeffirelli built the first sets for the company….and soon followed were many other leading figures who added to the prestige of the Dallas Opera Stage. My experience with this company was glorious; and I have fallen in love with the city of Dallas. 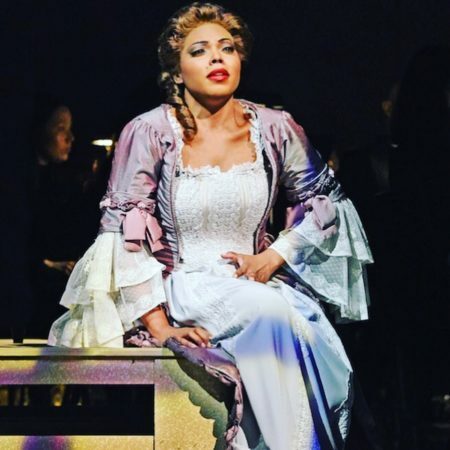 Kristin Lewis in Manon Lescaut at the Dallas Opera Company. Amerie: What else did you experience while in Dallas…? What else made you fall in love with the city? When I attended seminary at Southern Methodist University, I couldn’t really enjoy the city because of my study load. My books were my boyfriends…. Kristin: (giggles)… while at SMU, your books were your boyfriends…? Amerie: What?! You got to meet the Bishop!!! Kristin: Yes, and immediately following the service, I had lunch with Bishop TD Jakes and his lovely wife, First Lady Serita Jakes. She is such an amazing woman. It was an incredible experience. And speaking of incredible experiences, another reason why I am in Little Rock is to discuss a multi-organizational partnership between the Kristin Lewis Foundation, the Arkansas Symphony Orchestra, Opera in the Rock, the Wildwood Performing Arts Center and the Arkansas Repertory Theatre in a very exciting, future project. Being at home in Little Rock is always good for my soul, and now there is more exciting work for me to do here as well. Amerie: So what are you gonna be up to after you leave Little Rock…? Amerie: Oh that sounds neat!!! Kristin: Yes, it is actually. It will be an outdoor event that takes place in an ancient Roman arena. Those are always full, rich experiences. I can’t wait. So… what are we going to do when we meet up later? Amerie: The same thing that we try to do every day…. Amerie: Try and take over the world…. Amerie: The power of the pink and green*! The 20 pearls that rocked the world, baby! I am a disciple of Ethel Hedgeman Lyle – the founder of Alpha Kappa Alpha Sorority, Incorporated!! Kristin: That reminds me… I need to pay my sorority dues…. Amerie: So there you have it folks! 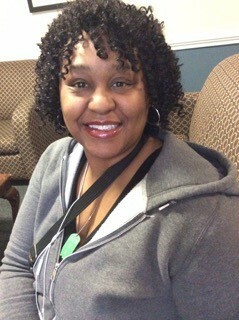 Kristin Lewis, back home in the “Rock Town” and constantly working to give back to the community! Thanks, Kristin! Amerie Jones is a cradle Methodist and pastor of The Method, a Wesleyan society where youth and young adults holistically use their faith to be the best they can be body, mind, and soul. Born and raised in Arkansas, Jones is not only a local pastor in The United Methodist Church, but also a journalist, a producer for the awarding winning radio show,“The Method:Real Talk for Real People,” and a published author who has had work displayed in the world famous Bridwell Library. Jones is the face of vital ministry of a world-renowned school of theology and has a Bachelor’s of Science from Philander Smith College in Little Rock, Arkansas and a Masters of Divinity from Perkins School of Theology on the campus of Southern Methodist University in Dallas, Texas. Posted on April 13, 2019 at 2:57 pm. 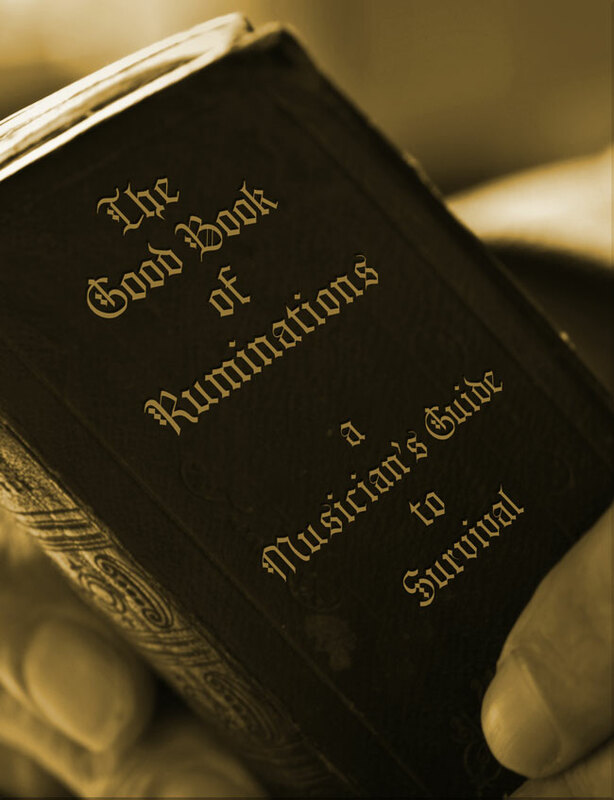 A Musician’s Guide To Survival. 1Knoweth that when thou art called, ye are chosen. 2At the time of full harvest, be aware of the weeds that aim to snare and choketh thine good fruit.3Maketh thou a wedge for protection. 4Gird thine self from attack. Please follow this link to donate to the Kristin Lewis Foundation.